Thread for the season starting tonight. He’ll be good when he realizes that Bran is all three-eyed raveny anyway ‘Bran is away right now, please leave a message etc’. There was a King who ruled over a tropical nation. As was the tradition, the houses in the kingdom were mostly grass huts and the King, to show is unity with his people, also lived in a grass hut, although a much bigger, 2 story grass hut. One night, the weight of the King’s thrones caused them to crash through the floor, falling on and crushing the King as he slept. I was watching a replay of the Duke vs Virginia lacrosse game yesterday and the ESPN announcer had a great metaphor. He said that during a UVA fast break the “Virginia comes down the field like the Dothraki.” No further explanation needed. Nice! I’m going to start using that. Raises had to disagree. Some of us never caught the GoT malady. Think UberHuns. Almost every group in GoT has a historical parallel. Dany’s older brother was Jon’s father. They were just born around the same time. Dany and Jon were both infants when Robert’s rebellion overthrew her father. What caused the rebellion? Ned’s sister decided she didn’t love Robert and loved Rhaegar, so he secretly annulled his marriage and married her instead. She died in childbirth and Robert convinced himself she was raped and murdered and started a war. Thanks JediMaster. Should anyone want to know more, this article explains things nicely. 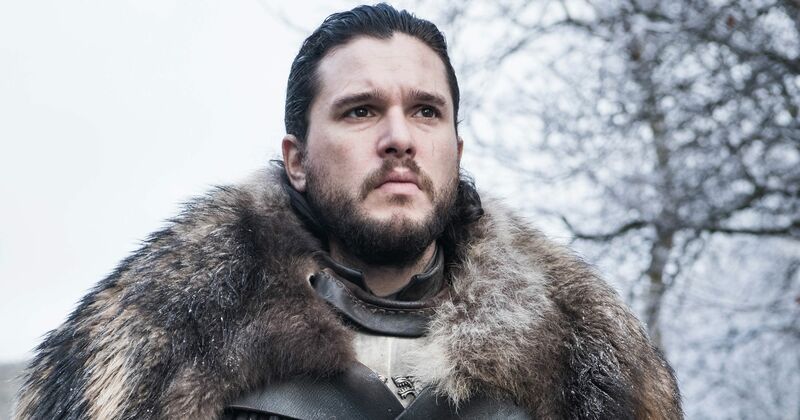 Jon Snow finally knows he's really Aegon Targaryen. Here's where he fits into "GoT's"Targaryen family tree alongside Dany — and the Stark one, at that.